Jen from One Thimble Sewing E-Zine recently approached me to guest post on the One Thimble Blog. And because she’s such a lovely, kind-hearted gal who goes out of her way to help others, I was happy to help her out! 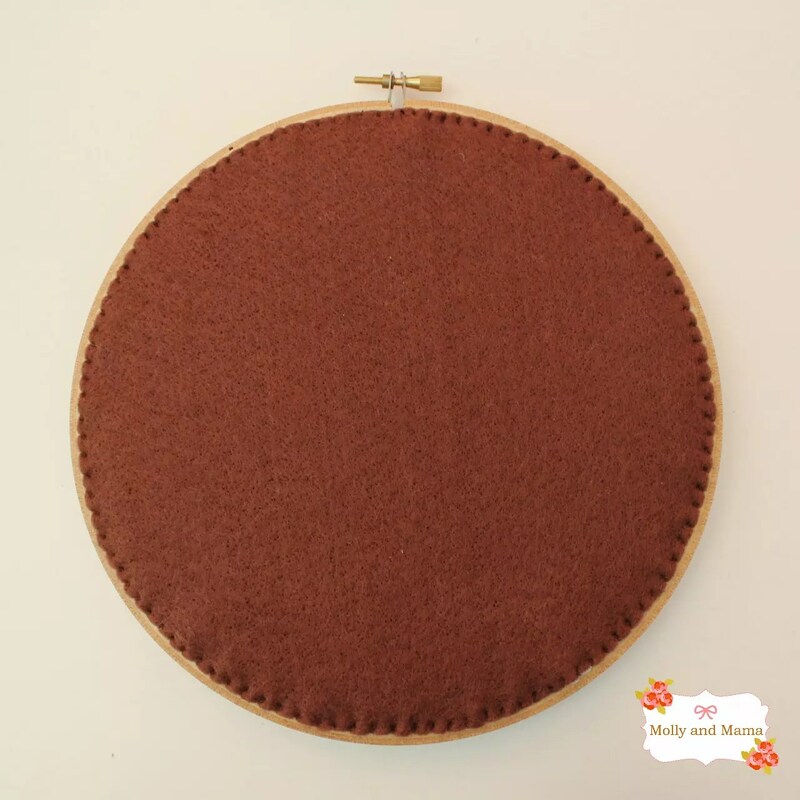 We decided that I’d share a hoop art project, explaining how to create art work using a timber embroidery hoop. What do you think? The gorgeous toadstool in this project is created using the Fairywood Cottage and Wood Fairy appliqué pattern made by Robyn of Obbie Dobbie for Issue 6 of One Thimble. You can purchase the pattern as a ‘stand-alone’ but if you pick up Issue 6, you’ll find it, and a whole host of amazing patterns, sewing articles, inspiration and ideas. Can you tell I’m a One Thimble fan? And just as a quick aside, don’t you love my little Sonny Angel figurine pictured with the hoop art? Have you seen them? They’re a bit of a craze at the moment! I received this little koala right after I released the ‘Katie Koala’ pattern. That was such a strange coincidence. But I digress…. I love the bright colours used in the image for this appliqué pattern. But I wanted to try something a bit different so I created the toadstool in pretty peaches and golds, and used linen fabric for the back ground. Robyn from Obbie Dobbie gives great instructions for hand stitching in her pattern. And I do find blanket stitch embroidery so relaxing and therapeutic (it’s a wonderful “couch craft’). But I was on a tight deadline, so I chose to machine blanket stitch instead. I think the finish still looks neat though? If you’d like to know more about how I put it together, you can read more over on the One Thimble blog. I explain how to secure your project in the hoop (whether it be embroidery, appliqué, cross stitch, etc). Then also how to back your project so it’s nice and neat. A circle of felt stitched on the back gives such a neat finish, don’t you think? For more hoop art project ideas, you might like to check out this tutorial HERE. I used a cute pineapple embroidery template to stitch up this wall art. And I’ve explained a couple of ways to finish the back, if you’re after an easier alternative to adding felt. I love it too! Thanks Rachael!